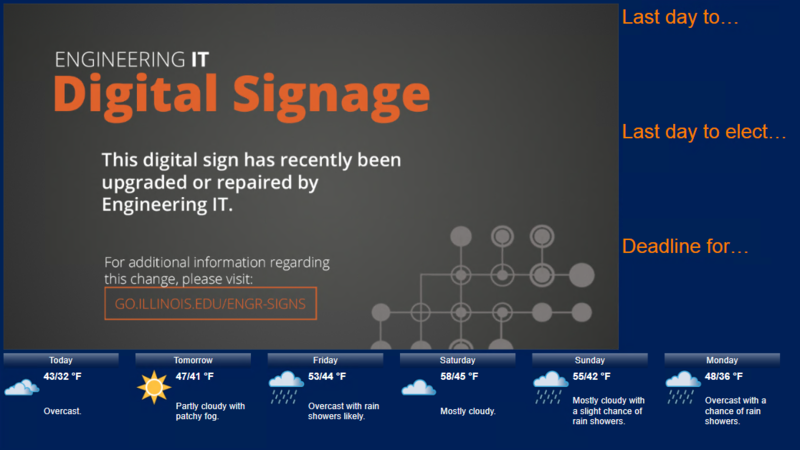 More information on changes to Engineering IT managed digital signs. If you are a unit communicator, please feel free to log into Four Winds Content Manager and deploy the sign. In general, seeing this screen means that nothing is wrong and that an installation was completed successfully. Engineering IT is most likely already aware of the situation and will be deploying the correct content shortly. Please report any additional issues with your signage to engrit-av@illinois.edu.